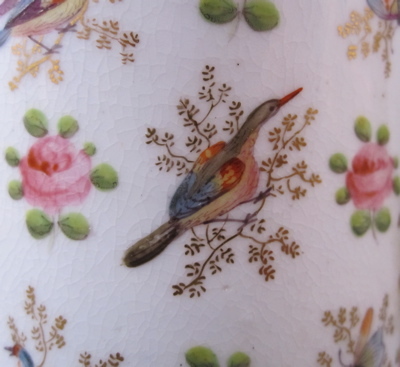 Herculaneum pottery coffee can, made in Liverpool, England in the early 1800s. 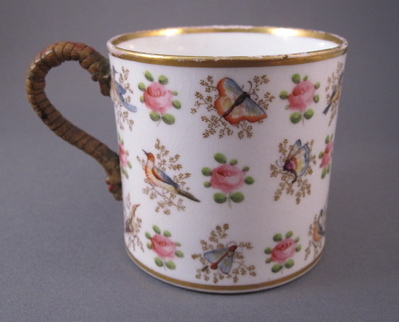 Herculaneum Pottery was based in Toxteth, and produced creamware and pearlware pottery, as well as bone china porcelain, between 1793 and 1841. 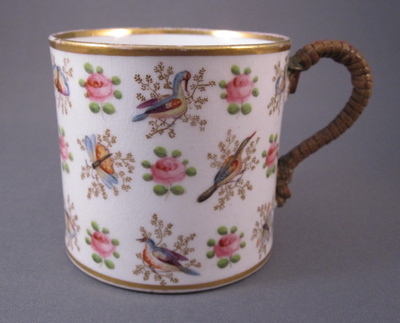 This superbly decorated example has delicately hand painted flowers, birds and butterflies with gilt detailing. 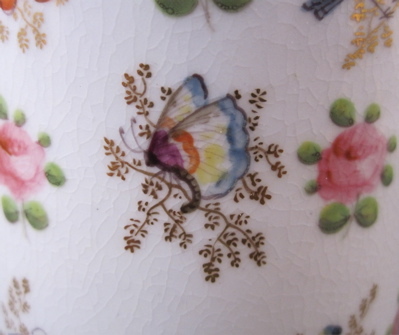 Although unmarked, the original pattern number is believed to be 905. 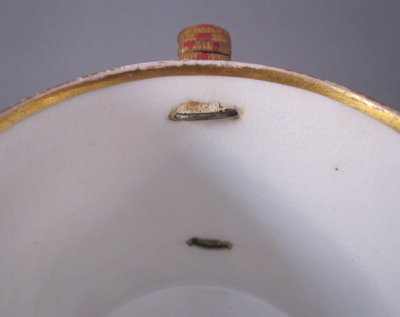 Coffee can measures just over 2-1/2″ high and has a diameter of 2-3/4″. 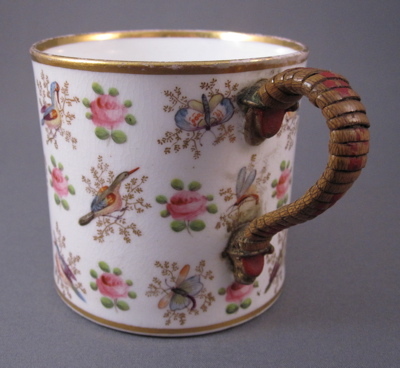 The sturdy replacement handle, made of bronze and covered in tightly wrapped rattan painted with red detailing, is held in place with the aid of two wires which pass through the body of the mug. 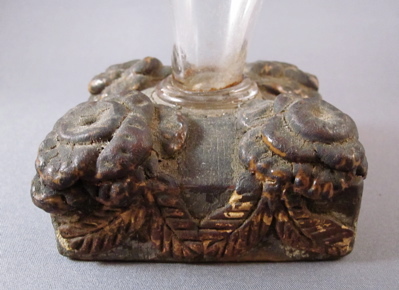 It was most likely made by an English china mender in the mid-1800s. 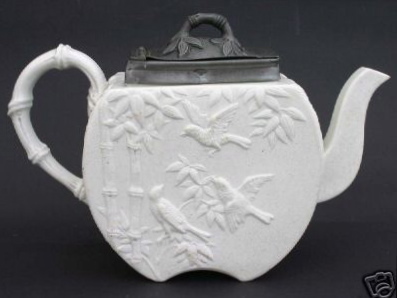 This lovely teapot, made in England during the Aesthetic Movement, has a Parian finish and was made by Copeland in 1874. 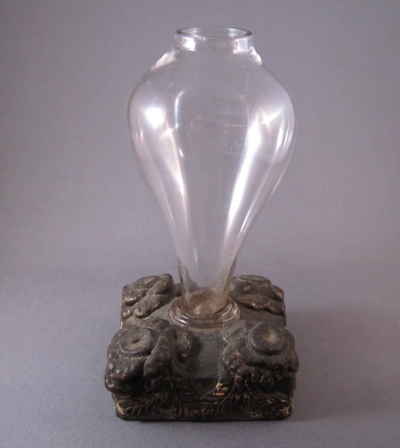 It measures 6 inches high and 8.5 inches from handle to spout. 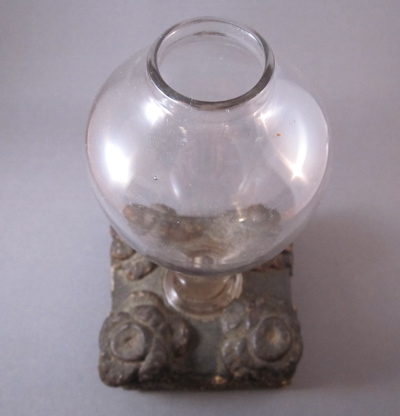 The original pewter lid, which looks like a replacement, is actually original to the piece. 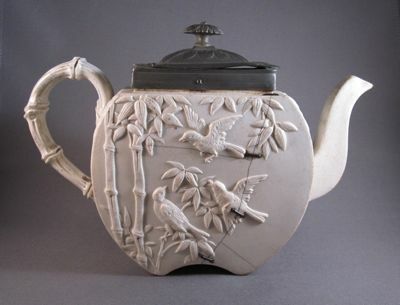 I feel that the staple repairs on this teapot enhance the design, as they follow the same graceful line of the raised bent bamboo decoration and the staples mimic the horizontal nodes along the vertical cracks. The Copeland firm, operated by William Taylor Copeland in Staffordshire, called the parian finish “statuary porcelain” because of its resemblance to the fine white marble of neoclassical sculpture. 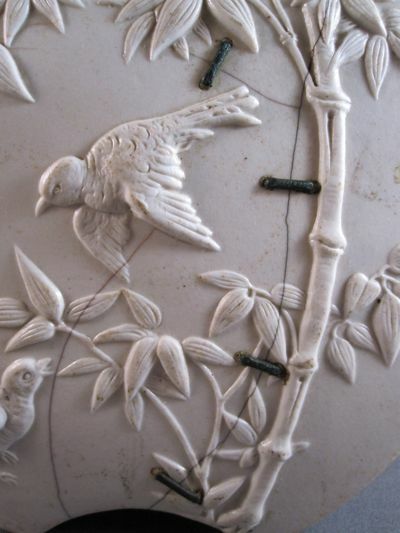 There are four staple repairs on each side of the teapot. 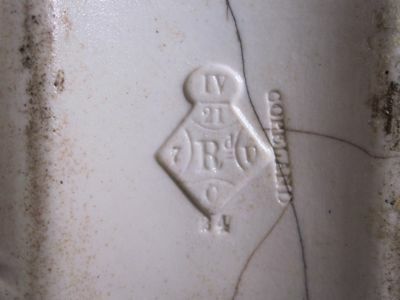 The underside of the teapot reveals an incised COPELAND mark and British registry mark in relief, dating this piece to 1874. 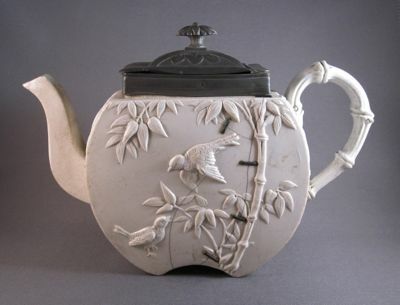 This “perfect” teapot is without staple repairs and has an ornate pewter lid. I still prefer my “imperfect” example with visible battle scars proudly displayed. 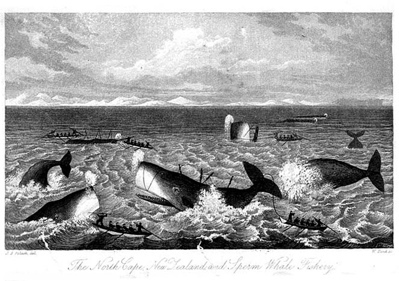 The Piano, a 1993 film directed by Jane Campion and starring Holly Hunter as Ada McGrath, a mute pianist, and Anna Paquin as her daughter Flora (both Oscar winners for their performances), contains a poignant “make-do” that must be noted in these virtual pages. In the course of the film, Ada has her right index finger severed by her jealous husband in a fit of rage, depriving her of the ability to play her piano. 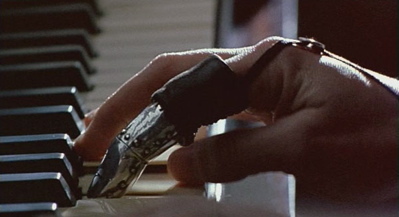 In the film’s epilogue, Ada’s new lover has created for her a riveted silver “make-do” replacement finger, complete with a finger nail, which allows her to play the piano once more. 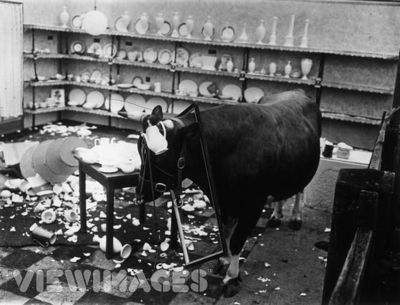 I love a happy ending, especially when an inventive repair is crucial to the outcome! I attended Carnegie Mellon University’s School of Drama, earning a degree in set design, while Holly Hunter was studying acting. Her immense talent was evident even then, though she had a difficult time masking her thick Georgian accent. How appropriate that she won her Oscar playing a mute. Years later I worked as a set decorator on a film directed by Jane Campion, but never had the chance to tell her how much I liked the final frames of The Piano and Holly’s make-do finger. 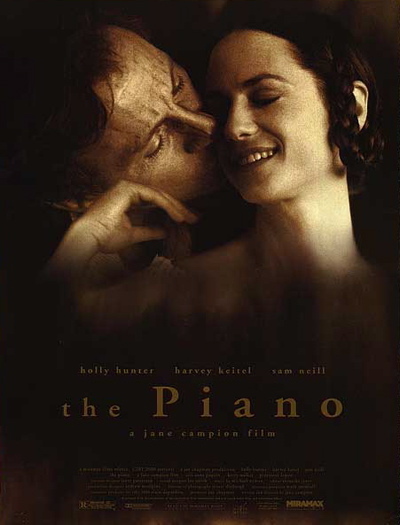 The film’s poster shows a tender moment between Holly Hunter and Harvey Keitel as her lover Baines. Notice that her right hand still has its index finger intact. A beautifully made silver replacement finger allows the ivories to be tickled once again…Fade out.